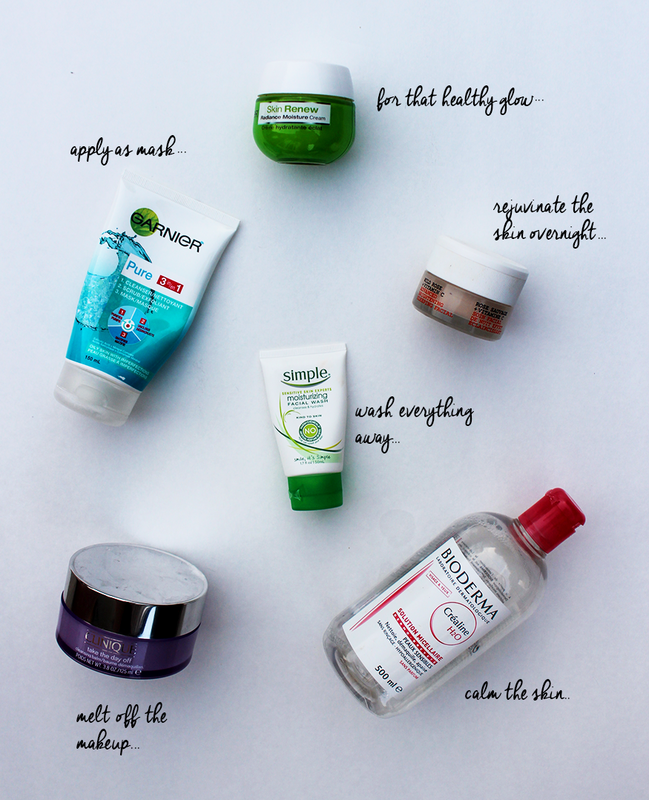 Skincare Saviours: Garnier, Korres, Clinique and more! I struggled with acne and breakouts until about a year and a half ago. Throughout my teens, I was constantly battling against constant breakouts, combination skin, and redness. It took a real jab at my self confidence – most of my friends, the bloggers I followed, and youtubers I looked up to all seemed to have flawless skin! I made it my mission to find out what worked for me. I’m happy to say that my skin has been healthier than ever! Here are some of my favourite products. 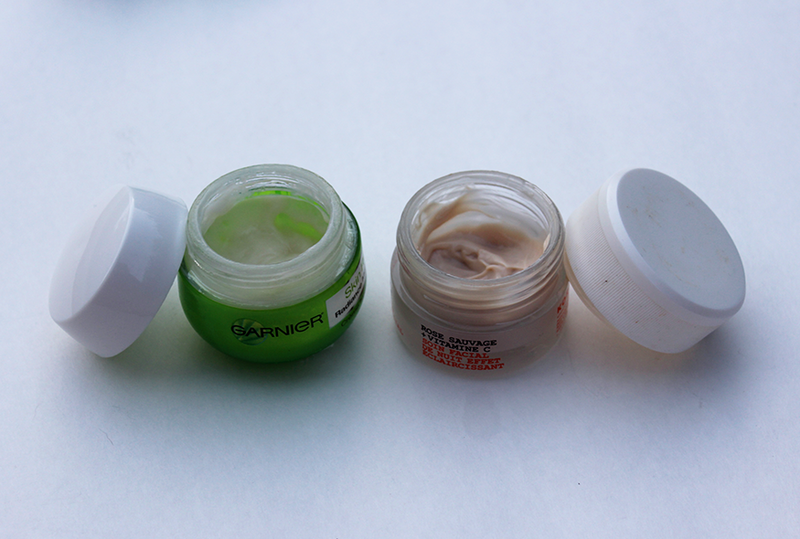 None of these are acne-specific, as I found my acne was not a result of hormones but product/ingredient irritation. After cleasing, I like to sweep some Bioderma Crealine Solution Micellaire all over my face. I bought two large bottles in France last year and I’ve still got almost half a bottle left! Not irritating at all, doesn’t cause redness, and catches any last bit of makeup that I may have missed. 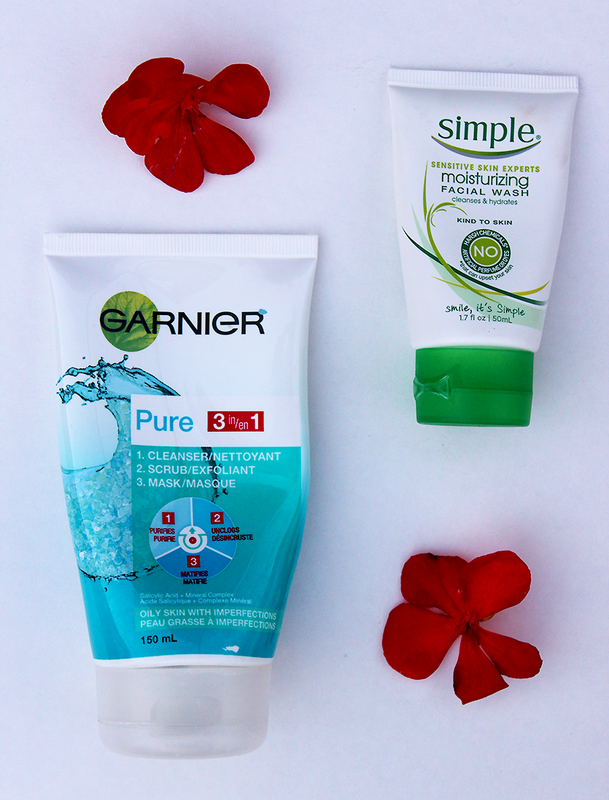 Another staple is Garnier’s Pure 3 in 1 cleanser, scrub, and mask. I love the scent of this – very fresh. It leaves my skin feeling clean and tingly! 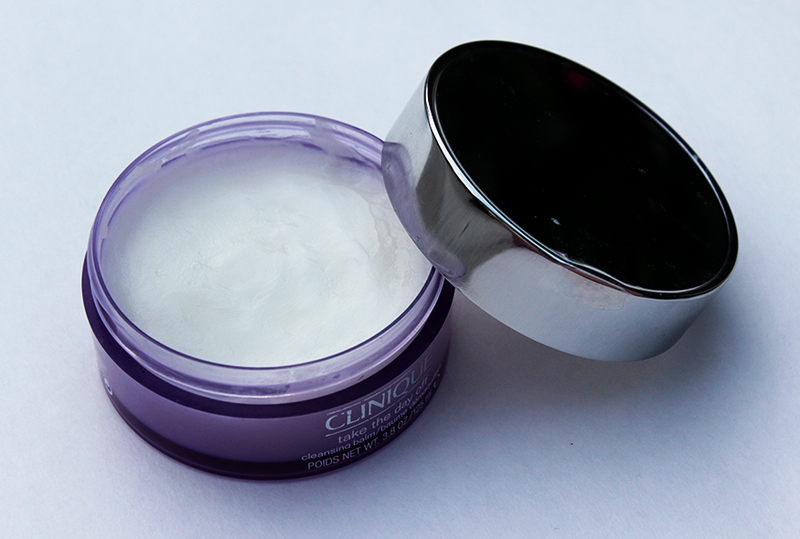 It’s a thick cream with scrubbing microbeads, but is gentle enough for daily use. Sometimes I leave it on for about 5-10 minutes as a mask while I’m in the bath or shower… feels lovely. I bought the mini Simple moisturizing cleanser in Rite Aid when I was in LA as an impulse buy as I lost my Tosowoong powder cleanser. I’ve been using it almost every day before using my Garnier scrub – it feels very gentle, lathers up nicely, and makes my skin feel clean and moisturized! I’ll definitely be buying the full size after I use this up. 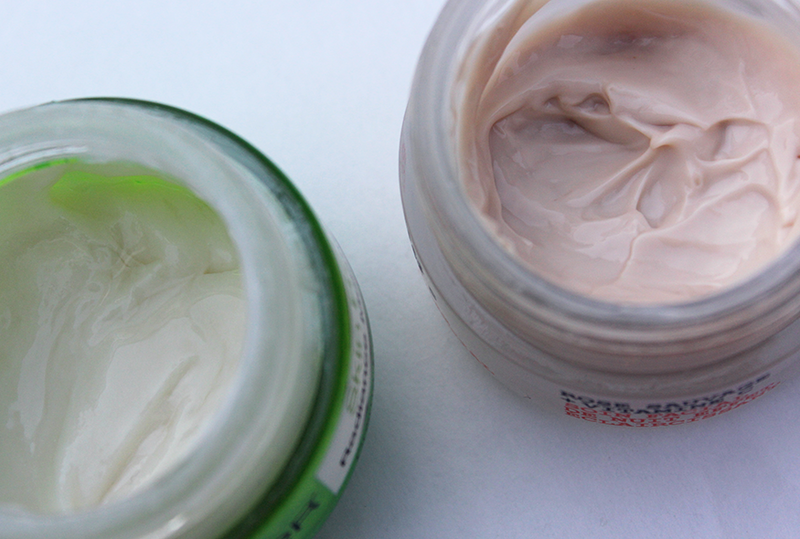 Finaaaaaally, my two favourite moisturizers. My skin isn’t particularly dry, but I make sure not to skip this step in the mornings/evenings. I think many of my skin irritations stemmed from dehydration so now I take extra care to ensure my skin is moisturized! The Garnier radiance moisturizer has vitamin C, and serves as my daily moisturizer! It makes my skin feel soft, and absorbs quickly without leaving an oily residue. What’s are some of your favourite skincare items at the moment? Would you rather invest in higher end makeup or skincare products? Have you tried any of the products mentioned? Ooh, TonyMoly! Gotta try out more of their stuff! These look like such great products! thanks for sharing!